Quite honestly the scenario couldn’t be very much worse for India right now. The Rupee has taken a severe hammering and has lost 44% of its value in the past two years. 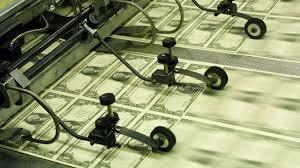 It was at its lowest point yesterday against the Dollar. That means that it has fallen by 4.5% just in the first three weeks of August, despite government attempts to stop the landside and shore it up. 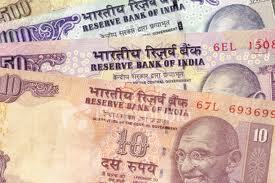 Yesterday the Rupee ended at Rs 63.13 per Dollar, which is a decrease of 2.4% on the previous day’s trading at close. The Rupee began showing signs of crumbling when the Federal Reserve first announced back in May 2013 that there would be a slowdown in Quantitative Easing and since then it has just gone from bad to worse. India was also struck by the mounting problems regarding a fall in growth prospects. The credit quality of companies is at its worst level for the past five years today and there is a tightened monetary policy that is being put in place. Borrowing costs for companies increased by 10% at the end of July alone. The Indian economy expanded by just 5% (year ending March 31st). That was the lowest for a decade. Maintaining a daily balance of 99% in lender cash reserves at banks (up from 70%). However, many analysts are now saying that the measures in a country which is already renowned for being highly bureaucratic have scared foreign investors away since they are under the impression that the controls will make it even more difficult to make money there. There are also fears that India will see a sovereign downgrade being slapped on it leading to even further difficulty as it awaits with baited breath as the to the real decision from the Federal Reserve about tapering. It would not be surprising if India were downgraded in the near future with the currency problems and the capital fleeing the country. India will also have to repay debt that is worth $20 billion next year and that can only be adding to their problems. Yield on 10-year government securities increased by 8.85% in July and that is the highest level for the past 24 months. That means that interest rates will go up and borrowing will become more difficult for businesses and also for private individuals. The NIFTY (National Stock Exchange of India) was down again today by 13.3 points to 5, 401.45 (-0.25%). The SENSEX (Bombay Stock Exchange) fell by 0.34% (down -61.48 points to 18, 246.04). India won’t be the only one to suffer despite the fact that the Rupee is the worst-performing currency in Asia at the moment. The markets are now worried about a knock-on effect to neighboring economies and what is happening in India right now will happen at some point in the future to other emerging markets. Despite the fact that the current account deficit is wide at the moment, it’s not essentially that which has caused the problem at the present time. The deficit has been like that for the past two years and so it is more the external factors that have resulted in the situation in which India finds itself today. According to analysts, countries that have a good deal of foreign leverage will be the first to get knocked for six. Afterwards, it will be the turn of those countries that have high internal leverage, such as Malaysia and Thailand.Credit Suisse listed those two countries as being vulnerable in recent days. Malaysia saw at (end of July) its currency slump to a 15-year low against the US Dollar, for example. Export figures have also been down. Added to that, Malaysia also has 49.5% of its government debt that is owned by foreign investors leaving outflows possible as soon as trouble hits. Although, it is most certainly true that the emerging markets will have an effect also, it is impossible to say that all emerging economies will be affected to the same degree. One country that looks as if it will not be affected is the Philippines. The economy there grew this year by a staggering 7.88% in the first quarter of this year (the fastest in Asia). Reuters raised their forecasts for the year for growth in the Philippines to 6.8%. Nothing new is happening in India at the moment. It’s happened all before. We have an emerging economy that attracts foreign investors with hot money flows. Exchange rates increase and imports become cheaper, while exports become more expensive. Structural problems are not dealt with. The money returns home from where it came in the first place. There are some analysts that are saying that just because tapering happens, it doesn’t mean that the billions that have been injected into the economy will suddenly disappear and go away, leading to difficulties for the US economy and then a reduction in the number of exports from emerging markets. But, unfortunately, despite what some people might be espousing as a theory, the markets are not seeing it in the same light. Apparently in pro-wrestling the Indian death lock is a technique that doesn’t get seen quite enough for the unchained public ranting and raving in the stadium around the ring. But, most certainly if you have never been on the receiving end of an Indian death lock, then you don’t know what it’s all about. Submission! It’s fear that is making India submit: fear of the fact that the QE tapering by the Federal reserve will have an adverse effect on the country. It’s the markets that are being pummeled as frightened investors go on a wave of selling. But it’s also the Indian government that needs to get its act together and start coming to decisions that will make structural changes to the economy and to society.